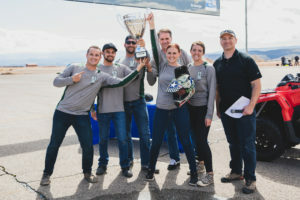 Each SkyWest pilot has their own story of what motivated them to become a pilot and their own unique reasons for why they love to fly: Some love the thrill and exhilaration of leaving the ground, while others enjoy the privilege and responsibility of flying one of SkyWest’s 482 aircraft as they bring travelers to their intended locations. Still others love the beauty and freedom only experienced from a bird’s-eye view. Check out our video below where we asked a few of our pilots why they love to fly! Because of this passion and drive carried by our employees, SkyWest has been named among the World’s Most Admired Companies by FORTUNE! SkyWest looks forward to continuing to welcome passionate pilots to our team. Interested in joining? Apply here! Many pilots have a pivotal experience or memory that first aligned them with a desire to take to the skies. 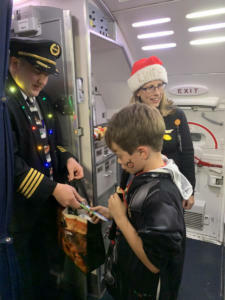 Detroit-based SkyWest CRJ Captain Alexander Hilsen encountered many of those moments from an early age. 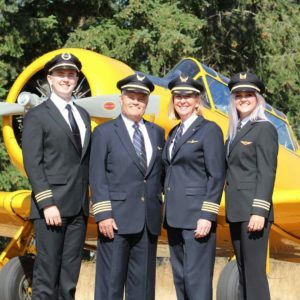 With both parents and an older sister as pilots, Alexander grew up in an aviation-focused household that took his career aspirations to new heights. Here he shares his experiences and the part his family played in his aviation journey. Well, it wasn’t like that. That was just normal to me. I got to spend some time with Dad, then I got to spend time with Mom, and then my sister and I got the house to ourselves for a few days. Something I began to understand in my adolescence was that I actually saw my parents more often than my friends did. They never had to take their work home with them. During their days off they could enjoy their hobbies of horse riding, hunting and flying little airplanes. Although some birthdays were missed, and they sometimes had to work on Christmas or Thanksgiving, Amelia and I both understood that it came with the territory. My sister and I loved flying when we were little. My dad got exhausted from taking us weightless over and over. My first memories of flying were when I was four years old. We had to take the cushions off of the couch so that we could see over the cowling of the 172. My dad would then tell me to pretend I was flying an F-16 and to shoot down imaginary enemies. There was no question that we had achieved air superiority over Enumclaw, Washington. 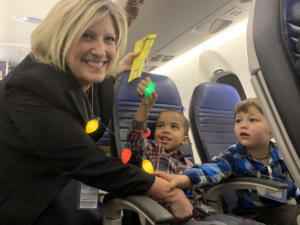 Having airline pilots as parents came with other benefits. When I was 13, my dad was able to secure a simulator slot for me in the 747. It didn’t take long before I was putting out triple engine fires and flying inverted under the Golden Gate Bridge. I’ve had the privilege of riding in the back of both my parents’ airplanes. When I was 14, my dad flew my sister and me to Narita, and when I was 16, my mom flew us to London. 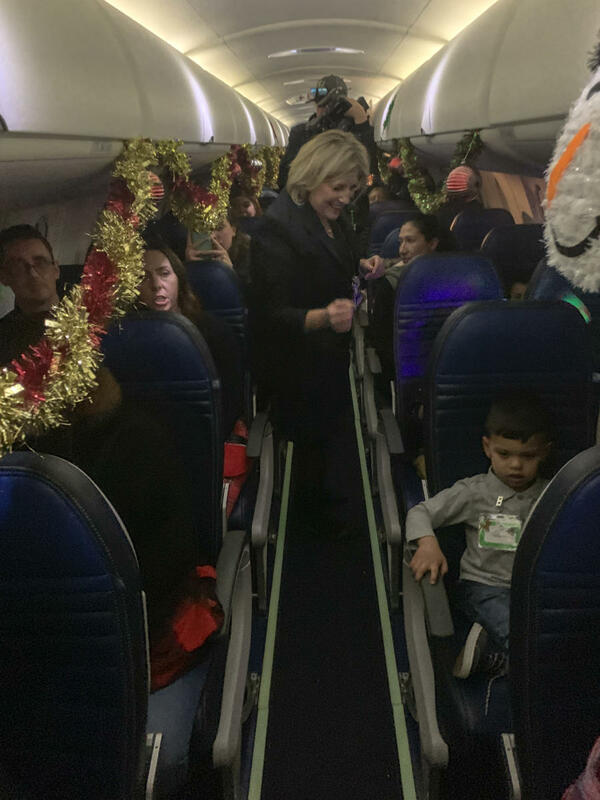 In 2017, I used my jumpseat privileges to sit in the jumpseat next to my mom for a trip to Honolulu. 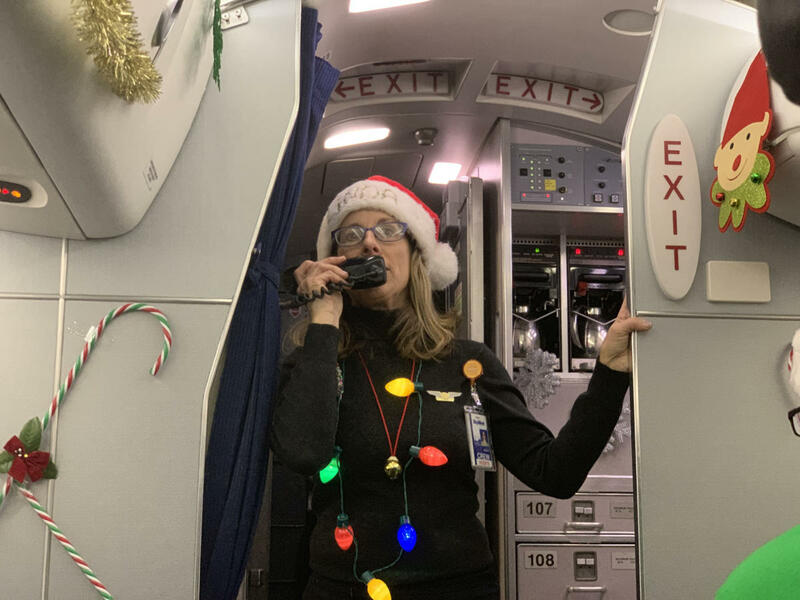 It was awesome to see my mother at the helm of a 777-200, hand-flying a “slam-dunk” arrival, just as I’d done in a SkyWest CRJ a hundred times before. Training and instructing together with my sister Amelia has also brought us closer as siblings. Learning the skill and getting to fly old and exotic airplanes is something that we have shared and bonded over. I feel really lucky to have the opportunities that I’ve been given. SkyWest pilots can truly Take Control of Their Pilot Careers, with more opportunity, exposure and access than any other regional pilots. 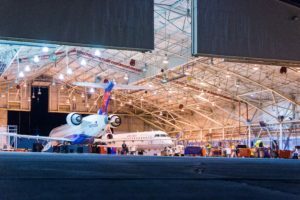 Twenty domiciles and a fleet of nearly 500 aircraft allow career advancement and opportunity throughout the country. Learn more and apply here. For the 19th year running, SkyWest Airlines, along with local partners and airline vendors, hosted the annual Mini Indy, the airline industry’s premier charity event. 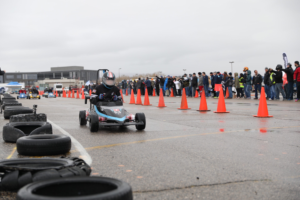 Teams traveled to Southern Utah from around the globe to compete on a newly-designed track that started with a wet corner followed by twists and turns that challenged the drivers in go-karts tapping out at 24 miles-per-hour. 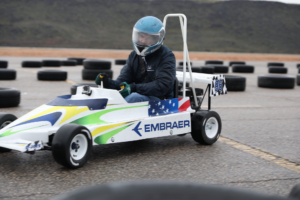 The event combines the heart-pumping, Indy-style race with pit stops, a BBQ competition, a golf tournament and team themes, including designs of the cars for those who bring home the big trophies. While the trophies and competition are all part of the fun, the main focus of the event is raising money for charity. This year, the event raised record-breaking funds for United Way Dixie and the SkyWest Scholarship Fund. 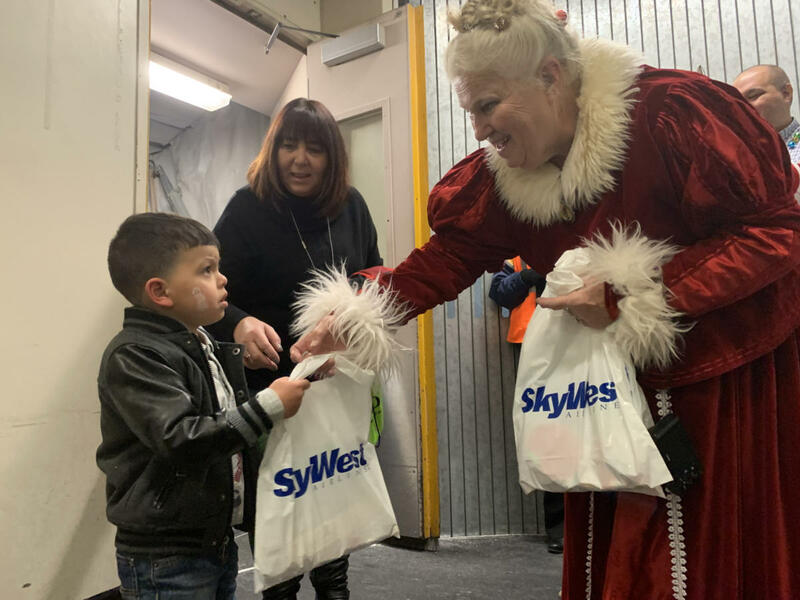 The event embodies the spirit of SkyWest Airlines, giving back to our people and the communities in which we live and work. Mini Indy is just one way SkyWest focuses on our people and those in need. 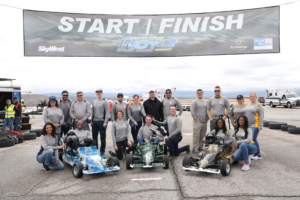 For more information on Mini Indy, click here, or look at job opportunities to join the SkyWest team here. 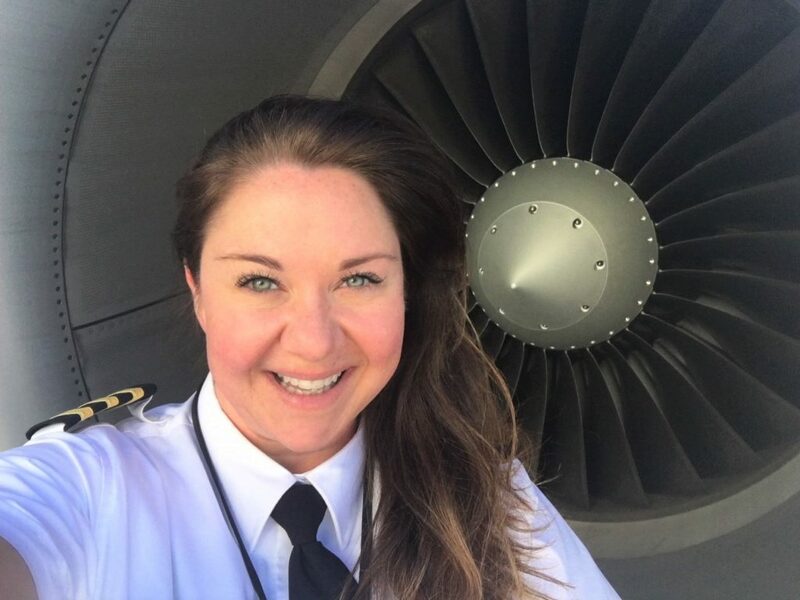 Meet the SkyWest Pilot Recruiters Attending WAI in 2019! 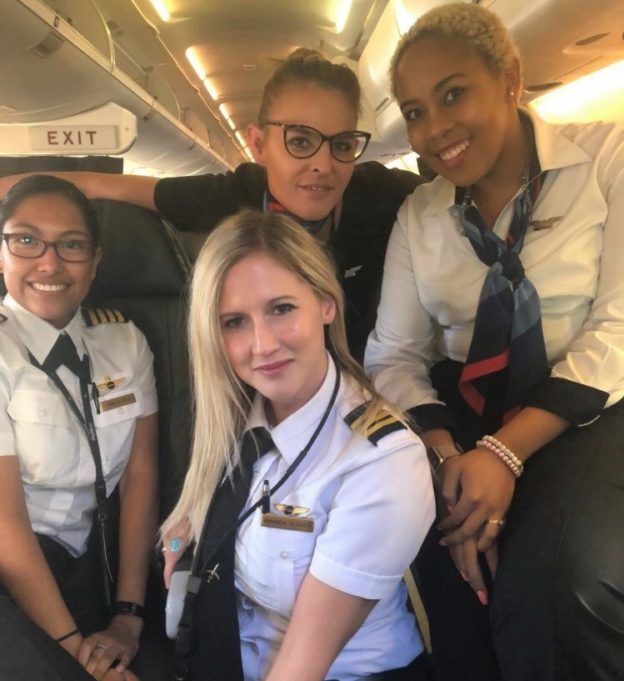 SkyWest Airlines will be attending the 2019 International Women in Aviation Conference (WAI) in Long Beach, California this week. The three-day event – which runs from Thursday through Saturday – will feature keynote speakers talking about the latest innovations in the industry, as well as workshops and networking opportunities. This year marks the 30th anniversary of WAI and our pilot recruitment team is excited to take part once again this year. As one of the largest regional airlines in the world – with over 2,300 daily flights and nearly 500 aircraft – our world-class pilots look forward to meeting with you, answering your questions and even holding on-site interviews. 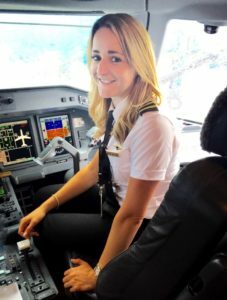 To get you better acquainted with the SkyWest recruitment team at WAI 2019, we reached out to ask them about their experiences in the aviation industry and what advice they would offer girls looking to pursue a career as a commercial pilot. What was your path to SkyWest? I completed my pilot certificates just prior to 9/11. With the economy in a slump, I chose to finish my college education, get married, and have children. After a 12-year hiatus from aviation, it was time to return to my first love: flying. I became a flight instructor with AeroGuard Flight Training Center and finally completed my 1,500 hours. While there, I enrolled in the SkyWest Pilot Pathway Program and became a SkyWest Cadet, then successfully interviewed to become a SkyWest first officer! 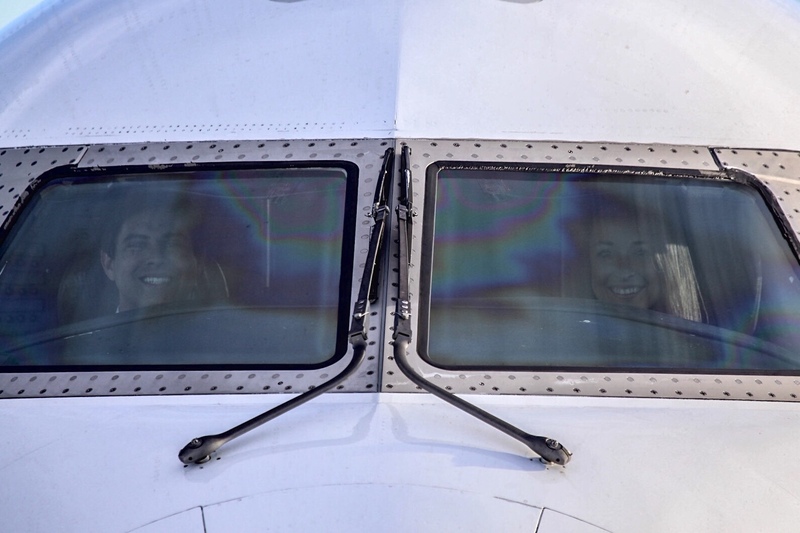 What is your favorite part of being a SkyWest pilot? There are so many reasons I love being a part of the SkyWest family! The friendships, quality of life, my flying schedule, the travel benefits as well as the people I work with. 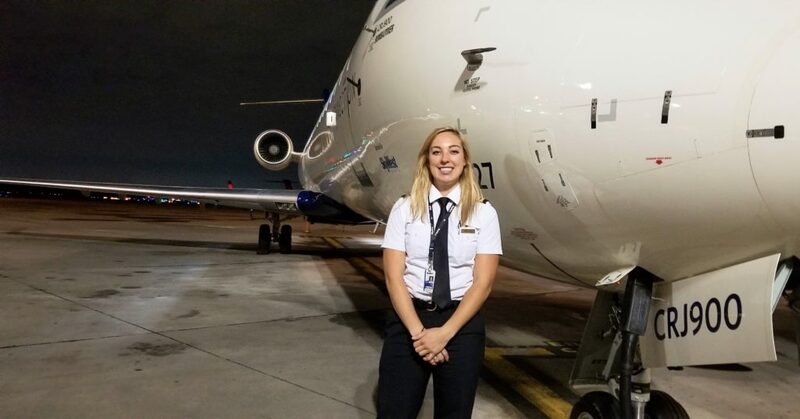 Why is SkyWest a good place for women in aviation? I love the quality of life SkyWest has to offer. I have choices with my career, which affords me the ability to be flexible and spend quality time with my husband and kids. I can choose which aircraft I fly, I can choose from 20 domiciles to live in or commute from. 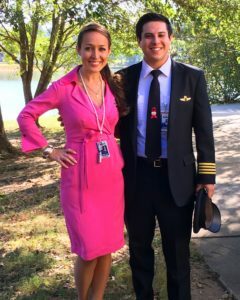 Even as a First Officer I have enough days off to chaperone my kids’ school field trips, enjoy date nights with my husband, and still earn a lucrative income. 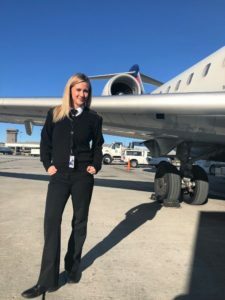 SkyWest Airlines is the perfect place for any woman to maintain that work-life balance as an airline pilot. What advice would you give girls looking at pursuing careers in aviation? Putting forth the time and sacrifice upfront, will be worth the effort in the end. There is nothing better for me than stepping into my child’s classroom, in a SkyWest Airlines uniform for career day, and see them beaming with pride. Why did you decide to become a pilot? When I was in high school, I used to work with an elderly woman each night. She was one of 33 licensed female pilots in the 1940s and her stories inspired me to follow my dreams of being a pilot. Listening to her stories about learning how to fly were amazing. She changed her name to Mike from Martha just so the men she was giving lessons to would fly with her. She was inspiring! My path to SkyWest began in 2004. I was hired as a Cross Utilized Agent in Missoula, MT. I began to see all the pilots fly in and out of the airport and I knew that’s what I wanted to do with my life. In 2009 my career took a leap forward when I joined the InFlight team at SkyWest. I worked full time as a flight attendant while giving flying lessons on my days off. As soon as I logged my 1500th hour I put my application in at SkyWest to become a pilot. My favorite part of being a pilot with SkyWest is the amazing corporate culture that we have. The family mentality that SkyWest has embraced speaks to me. I love coming to work every day knowing that I’m going to work with my friends. I also know that I work for a company that encourages and supports their employees and ensures their success in the day-to-day operation. I have always been inspired by the idea of flying and once I got behind the controls of an airplane, I knew it was where I was meant to be. I love the variety in the flying with so many interesting overnights and 20 bases. I have chosen to be based at eight different domiciles so far because I love exploring the country, and SkyWest makes that possible for me. I have found that equality is one of SkyWest’s strongest attributes. As I jumped from base to base I flew with hundreds of different crews and across the board every flight was honored with teamwork, respect and positive attitudes. Why did you become a pilot? My grandfather was a Spitfire pilot for the Royal Air Force in World War II. I was always fascinated by his stories and would ask him all the time about it. When I was eight years old, I told him I wanted to be a flight attendant because that was what I thought girls could do. He said to me, “why… when you could be up in the front?” After that I set my sights on becoming a pilot. What was your pathway to SkyWest? I did all of my flight training in the United Kingdom where I was an instructor for two years. The economy was not doing very well, and I came over to the United States as a flight instructor. SkyWest Airlines was the only regional airline that I knew anything about, and I knew it was the place for me. I just celebrated my seven-year anniversary at SkyWest last month! Advice to girls looking to pursue aviation? Never give up. It’s not an easy road, but it’s absolutely worth all the hard work. My dad was a Navy pilot so I grew up with an aviation influence. I still remember my first Blue Angels air show as a child. My parents were very supportive of my dreams and aspirations of becoming a pilot. 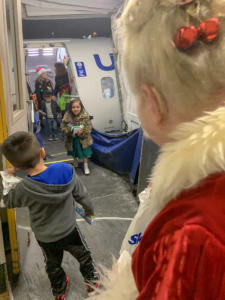 SkyWest has an exceptional reputation. The team members are hard-working, happy, and friendly. People love coming to work and I see more women joining the team every day! 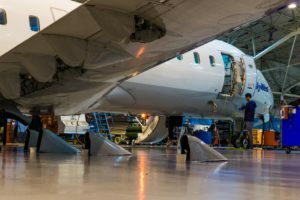 If you’re looking to start an aviation career, you should go for it! 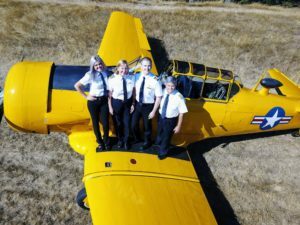 There are so many opportunities for women in aviation. Find a mentor and start asking questions. All the women I have met have been so helpful and supportive! My favorite part of being a SkyWest pilot is the people I get to work with. 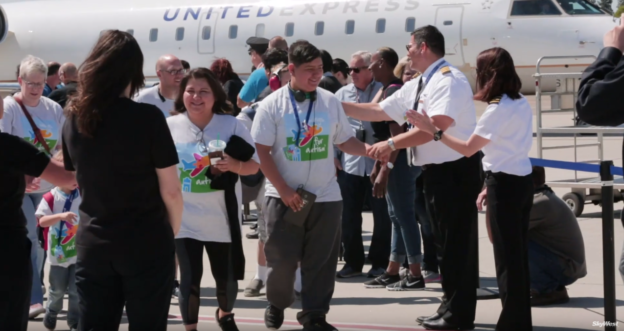 SkyWest’s culture empowers the team members to take care of one another and deliver excellent service to our customers and partners. We take care of one another. When we travel as crew members, we stick together. SkyWest understands the needs of the employees and the challenges of balancing work and family. You will find nothing but advocates supporting your journey at SkyWest. My advice for girls is to be daring enough to dream. Dream about what puts a smile on your face and don’t let anything stop you. For me, I dreamed of financial independence while traveling and still having time for family life. The life of an airline pilot provides all that, and I get to fly a jet. I got my degree in Aviation Technology from Utah State University. Once I graduated we moved to Los Angeles and I did a mixture of flight instructing along with aerial photography. Then I applied at SkyWest! This sounds cliche, but my favorite part about being a SkyWest pilot is the people. I always have a blast at work. We are constantly laughing and joking, which makes my trips so enjoyable. 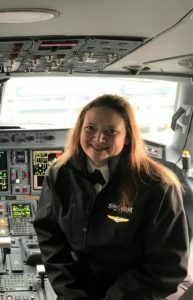 SkyWest has a very strong group of pilots who are trying to give not only the female pilots, but any pilot with a family, the highest quality of life possible. 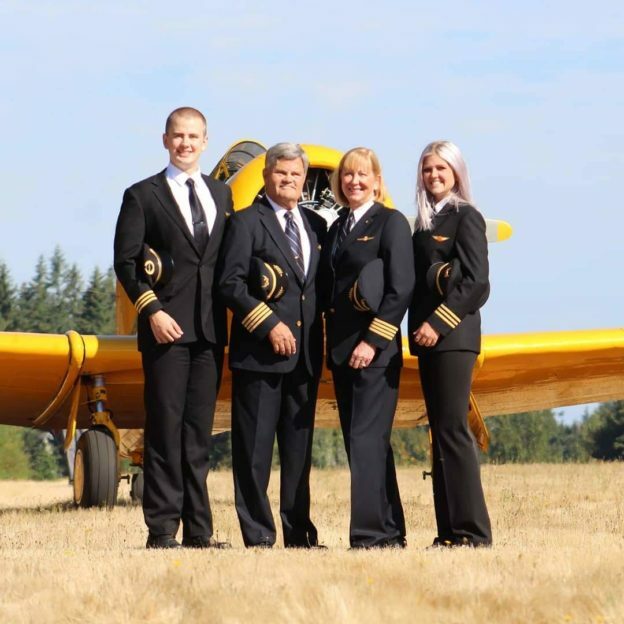 It’s inspiring to see so many people working together to help our female pilots balance their family life and career. The saying “it runs in the family” certainly holds true for the Lucas household. 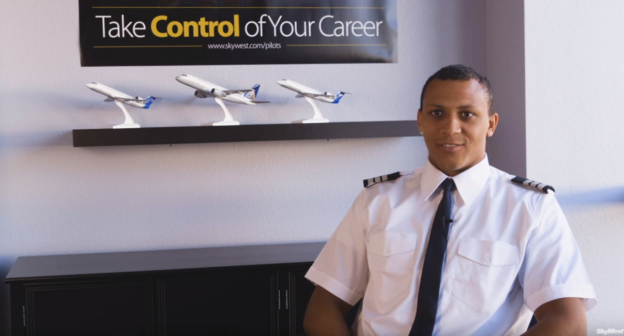 With both parents working in the aviation industry, SkyWest Captain Mitch Lucas II quickly grew a love for flying as he followed in his parents’ footsteps when he was hired at SkyWest in 2014. His parents both worked at SkyWest and, as fate would have it, SkyWest also connected Mitch with his future wife. 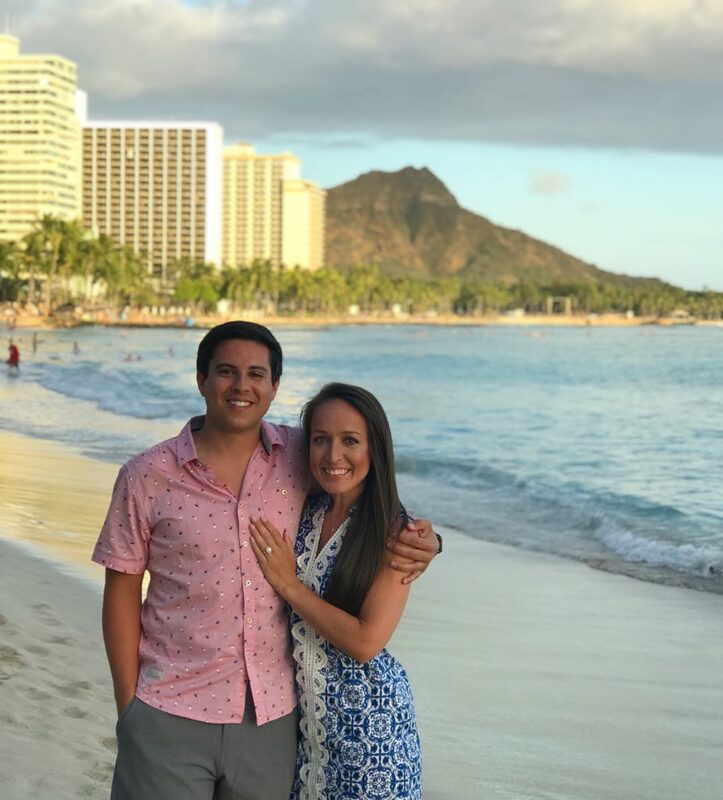 This Friday – overlooking the ocean in Hawaii to commemorate where they flew for their first date – the CRJ Captain will tie the knot with his bride-to-be: SkyWest Flight Attendant Maddie Dougherty. 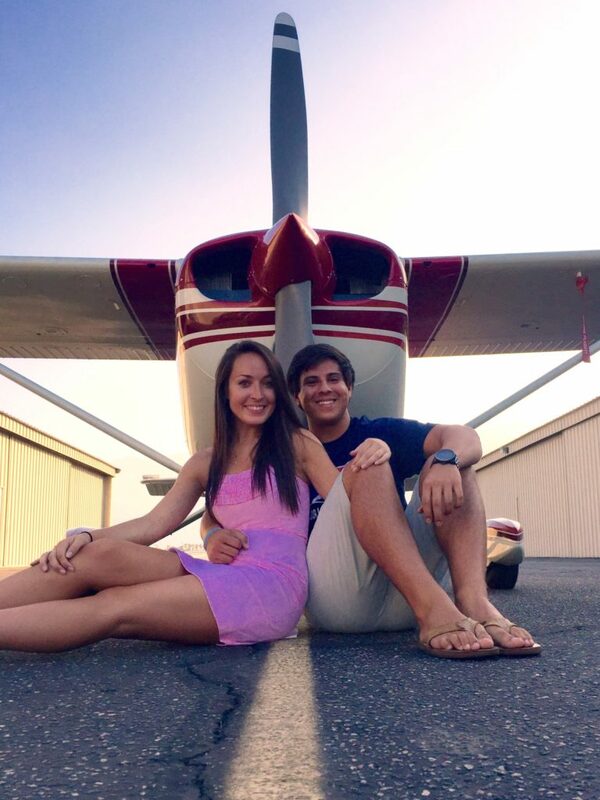 As for Maddie, never in her wildest dreams did she think she would marry a pilot. 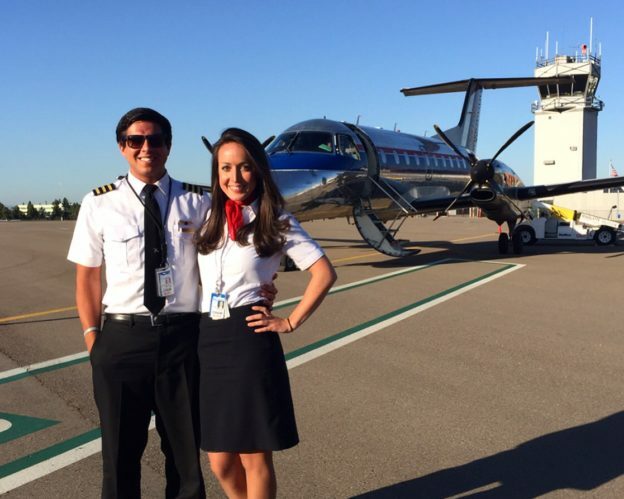 Both joined SkyWest in the summer of 2014 and were based in Chicago where they “officially” met while working a flight together. Afterwards the two started talking about some of the favorite places they have visited along with where they wanted to travel with their flight benefits. “I found out that Maddie had never been to Hawaii before, so I told her that we should all get a group of friends together and go sometime,” Mitch recalled. After organizing the trip, both agreed to meet up at the gate. And that’s when it all began. “My friends ended up not being able to make it, but I still wanted to make a good impression and didn’t want to stand him up. Then when I saw that his friends didn’t make it either, I was so relieved” Maddie said smiling. With the trip already planned, the two decided to take the flight anyway, and the rest was history. “We love our friends, but we are so glad that they didn’t show up,” Mitch said. “We owe them big time, “Maddie added. 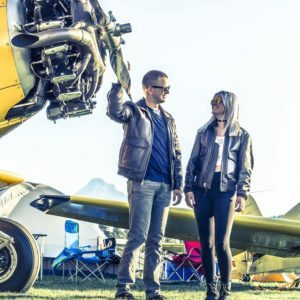 The couple has been together for four years now and has been based at a few of SkyWest’s 20 domiciles – Chicago, Detroit and Atlanta. 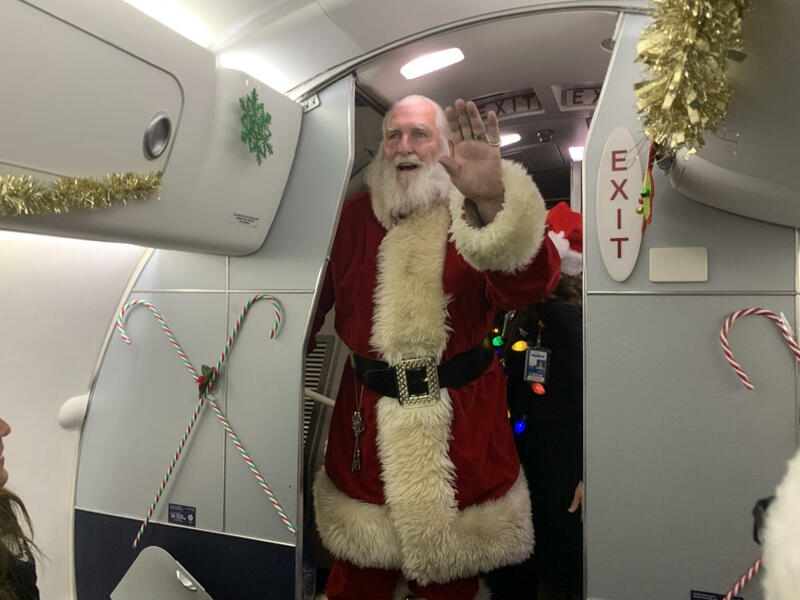 Since 2015, the duo have flown over 1,000 flights together on the CRJ200 and love the company culture and team atmosphere that SkyWest represents. And it shows. Both employees often receive rave reviews from customers and colleagues alike for their commitment to safety, exceptional quality and professionalism. 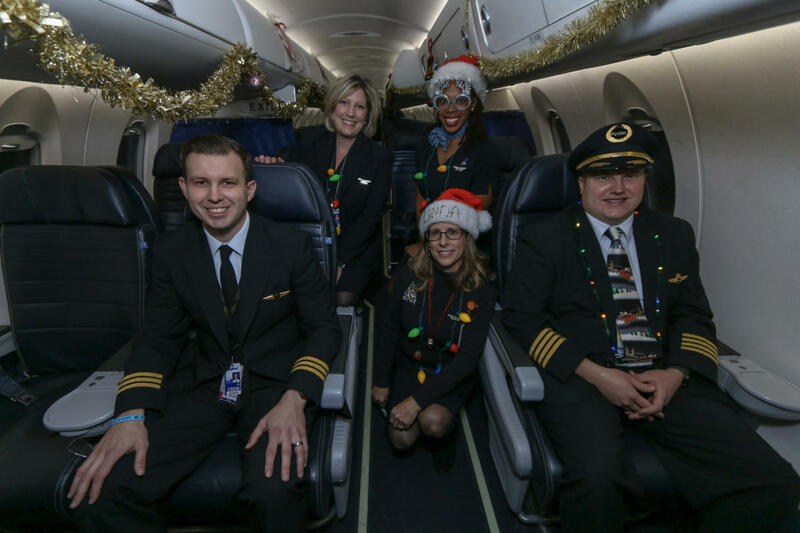 It’s a commitment that more than 14,000 of their colleagues share and a testament to what sets SkyWest apart. 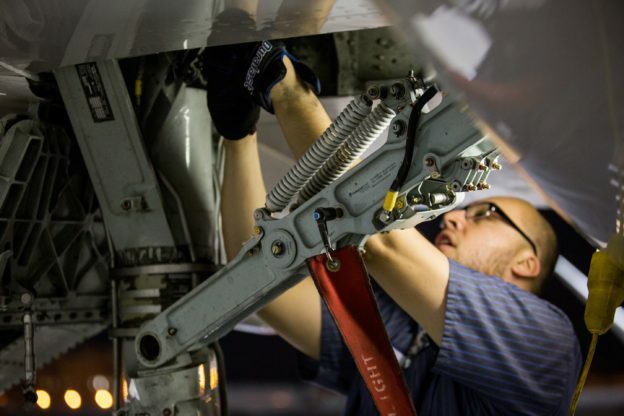 Learn more about joining the SkyWest team here. 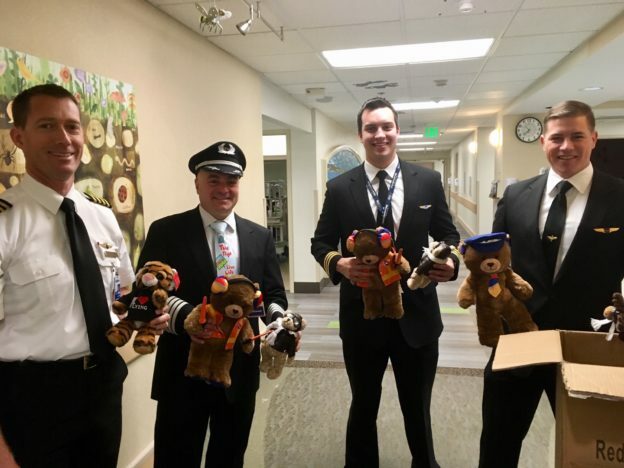 SkyWest pilots made a special landing at St. Luke’s Children Hospital in Boise, Idaho last week to help spread some holiday cheer. 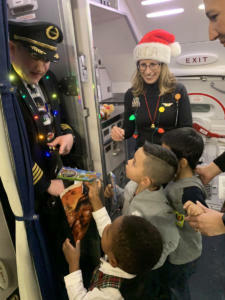 The pilots turned their pilot hats in for some Santa caps as they visited with patients throughout the day. 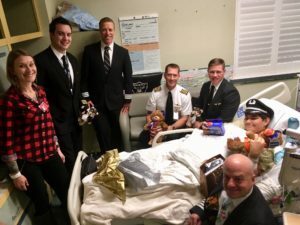 SkyWest Captain P.M. Schneidau as well as First Officers Luc Levasseur and Zeb Baney, along with several pilots from other airlines, arrived at the pediatric unit with their sack of toys. Some of the gifts included stuffed animals, LEGO sets and gift cards. 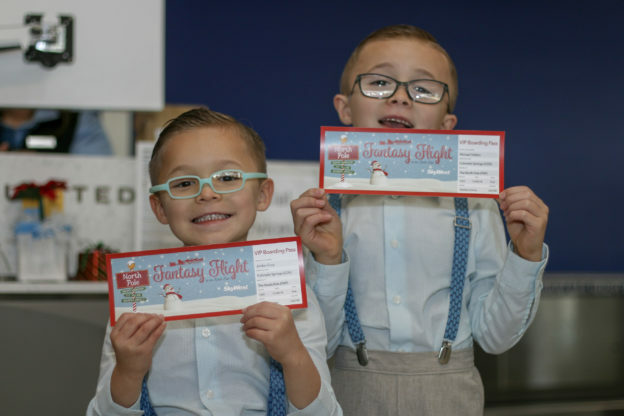 The event hits close to home for the Schneidau family who have experienced what families at St. Luke’s Children Hospital are going through right now. For many families, the holidays are a time of stress and added anxiety as they support and care for sick loved ones. 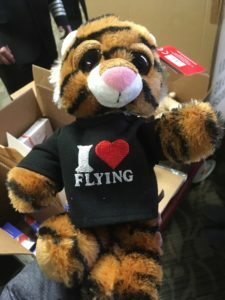 Pilots for Kids is a non-profit organization dedicated to supporting hospitalized children and their families by using volunteer pilots to fly in toys and other needed supplies, with the goal of bringing smiles to families and children in need. 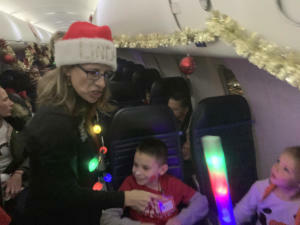 This Pilots For Kids event was the first-ever in Boise. The event was so rewarding, that each of the pilots are already planning next year’s event. Throughout the year, SkyWest employees have made it a point to give back to their communities through a variety of service projects. 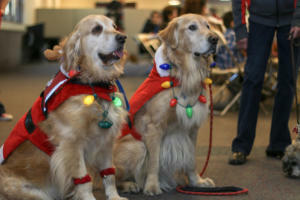 And with the holiday season in full swing, our crews and teams are once again finding ways to help make a difference. Read more about SkyWest people making a difference here.